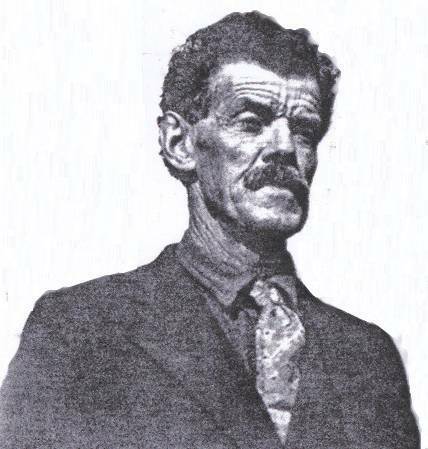 Husband of: Cecelia Ann Bailey — married 10 Feb 1884 in Foots Creek, Jackson County, Oregon. Note: Portland was a wild and unruly town, not the best place suited for raising a family. Portland was infamous for offering all the best vices: opium dreams, gambling, cheap prostitutes, and drunken brawling. In its early days, Portland was a combination rough-and-ready logging camp and gritty, hard-punching deep-water port town," and as a young city (established in the late 1840s) it developed an international reputation for lawlessness and violence. You’d never know it from looking around the Pearl District of Portland today, but a little over 100 years ago this was the most dangerous place on the West Coast to go out drinking. The risk you ran wasn’t so much death or injury, though. It was the risk of waking up the next morning on board a barque headed for China. “After many struggles and privations they sold the donation claim for the sum of $500, moving on to what is now Independence, Ore. 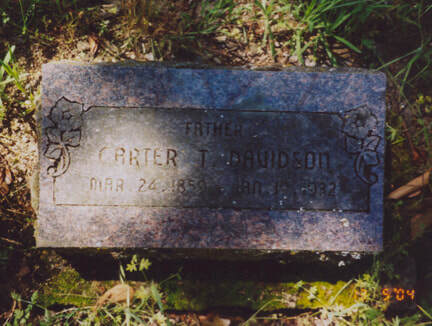 Here Carter T. Davidson, my father, was born in March, 1860. They remained at Independence several years, from there moving to the head of Williams creek in southern Oregon, where they took up a homestead. They cleared land that is now known as the Henry Boat place. 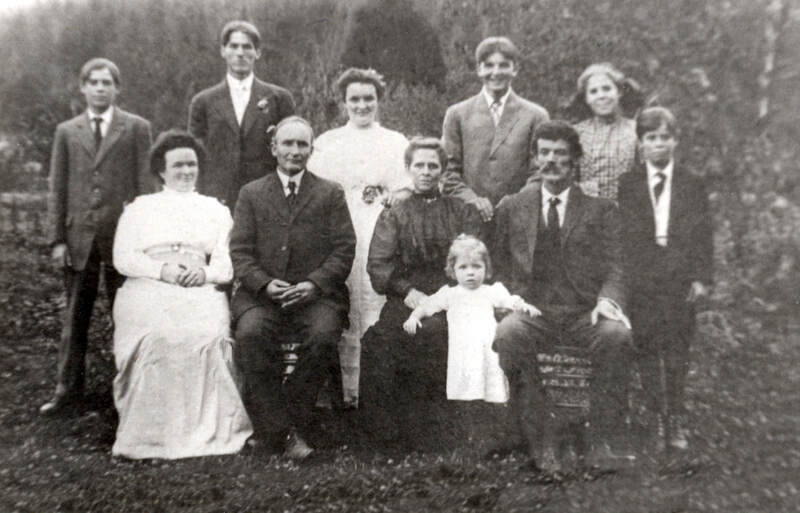 They had a family of 10 children, four girls and six boys, of whom at the present date there are only three living. Moses Davidson of California, Mrs. Sarah Goodwin of California, and Jay E. Davidson of Oregon City. In 1874, Elijah Jones Davidson, at the age of 21 years, discovered the Oregon caves while hunting bear. In about 1883 my father, Carter T. Davidson, met and married Ella Bailey, daughter of George W. Bai1ey. 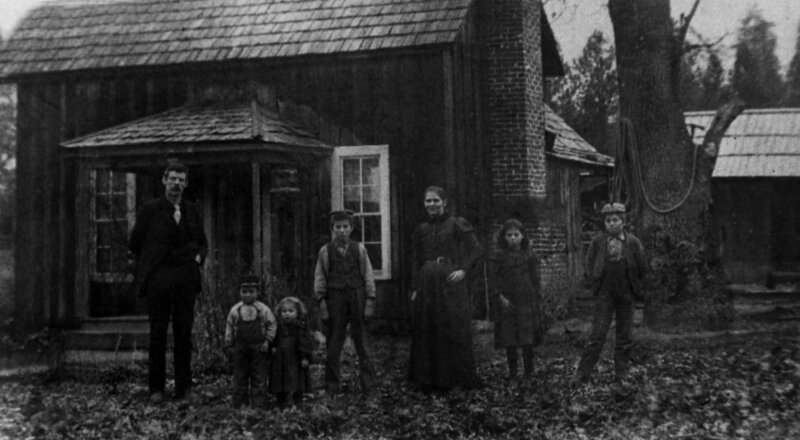 They then made their home on a portion of Grandfather Davidson's homestead. Here I was born in 1885. We lived on Wi1liams creek 17 years. I recall a log pen father built to protect our young stock, as cougars and bears were plentifu1 in those days. Many is the time I got out of bed to carry a lantern for father, as it was my job to hold the light while he shot the cougar, bobcat or whatever varmint it was, out of the tree it had been chased into by my father's dog. An instance many pioneers of Williams will recall is the one that occurred when father followed a huge cinnamon (Grizzly) bear, shooting him as he ate a live shoat (piglet). That bear had slaughtered many stock. He was so large he filled a wagon box with sideboards on---a big load for one team to haul. Everyone rejoiced at his death. 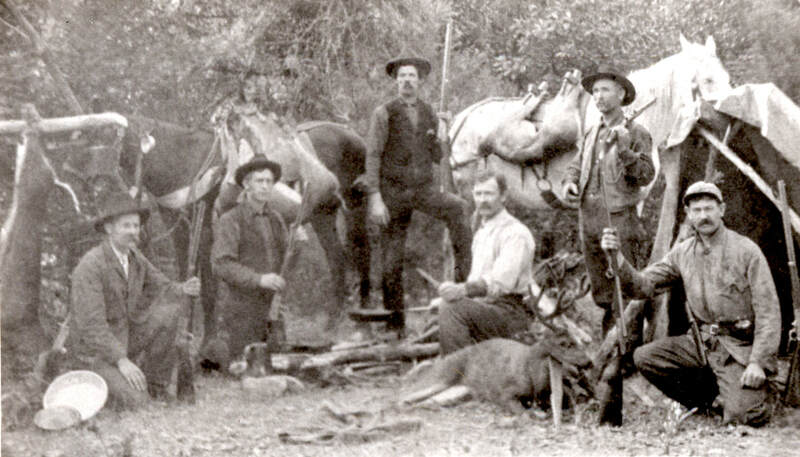 In 1895 a bear caught and killed a large hog in the upper part of Williams Valley, but so far our famous hunters have not succeeded in capturing the offender. A panther has seen and heard several times lately and there seems to be a big increase in the number of wolves and coyotes, since the bounty was taken off. It would be really unsafe, for a tenderfoot to come to Williams now. Father mined a good deal, making his start in Cleveland's administration by taking out the Black Pocket. I can recall the sight of two pans stacked with fine and coarse gold before it was cleaned. I remember making tunnels with brother Lester, in that big snow of '90, and how high the water was. Father and Uncle Billy Bailey fought water all day to save Willis York's house. I was 17 years old when we moved to Jacksonville for several years. While we were there father made a trip to Alaska as mine inspector, and I went to San Francisco in 1906 and enlisted as a sailor, working my way across to England. During my absence the folks moved to Ashland. I returned in 1909, and found a little baby sister, Iris Davidson, aged three years. In the fall father moved back to the Applegate. I came home in January, 1910, and met Miss Ethel Imbler at Williams. We were married October 9, 1910, and have lived in Josephine County ever since, with the exception of six years spent in Lake County. We liked Josephine County best, so we returned in November, 1918. In 1921 mother passed away on the little farm on Missouri Flat. Later, in 1925, father sold the home. That was the year Brother Carter, Jr., was killed for a deer. Father died in Grants Pass in 1932. My wife and I have a large family---seven children. We live at 624 South Fifth St.
Carter Tarrant Davidson (my great-grandfather) is seated in the front row on the right, Eva Davidson (my grandmother) is standing in the back row on the far right.